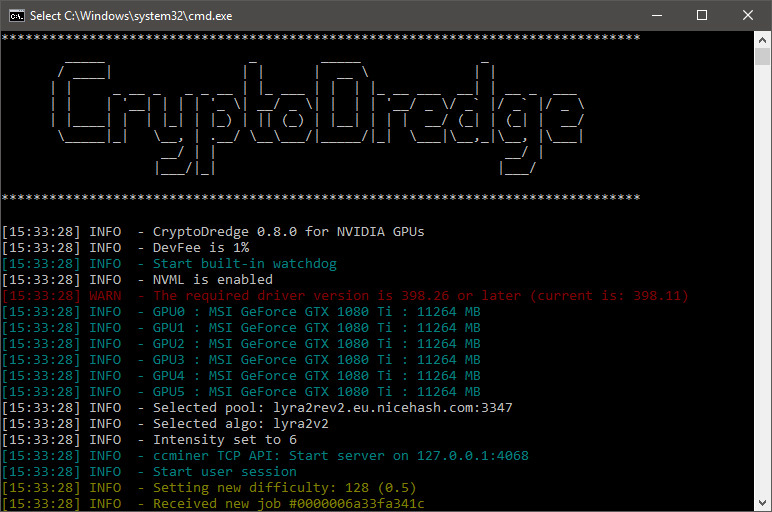 The CryptoDredge miner has started as a faster alternative for Nvidia miners for the Lyra2REv2 algorithm, but since then it has been evolving into a multi-functional miner that supports more algorithms and provides good performance in them as well. The latest version of CryptoDredge brings performance improvements in a few algorithms and also support for the Tribus crypto algorithm. You can expect to get around 15-30% faster hashrate in Allium and Phi2 and about 18-35% faster performance in Lyra2z with the version 0.8.0, depending on your GPUs. Do note that as a result of the increased performance the energy consumption might also increase, so if your GPUs get hotter just decrease the TDP limit a bit. Also you might need to update the video drivers to the latest release if you are using an older version. 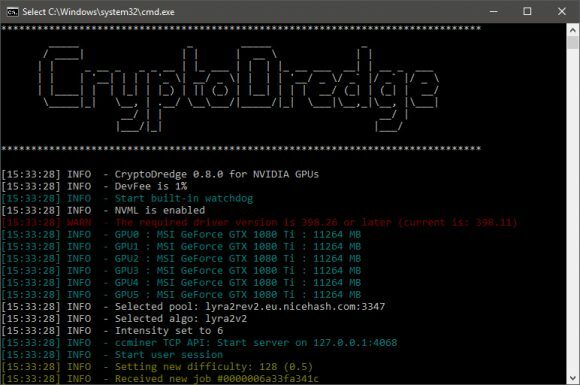 We are reminding you that CryptoDredge is a closed source miner that comes with 1% built-in developer fee, so there is no source code and only binary releases available for both Windows and Linux.